Economical entry-level diesel, high-revving 2-litre engines. The 2.0-litre 4-cylinder petrol engine in the BMW 220i Active Tourer (combined fuel consumption: 6.1-5.9 l/100 km, combined CO2 emissions: 142–137 g/km)* delivers a peak output of 141 kW/192 bhp at 4,700 rpm and a maximum torque of 280 Nm at 1,250 rpm. This makes for athletic performance figures: the BMW 220i takes 7.5 seconds for the sprint from zero to 100 km/h, while its top speed is 230 km/h. 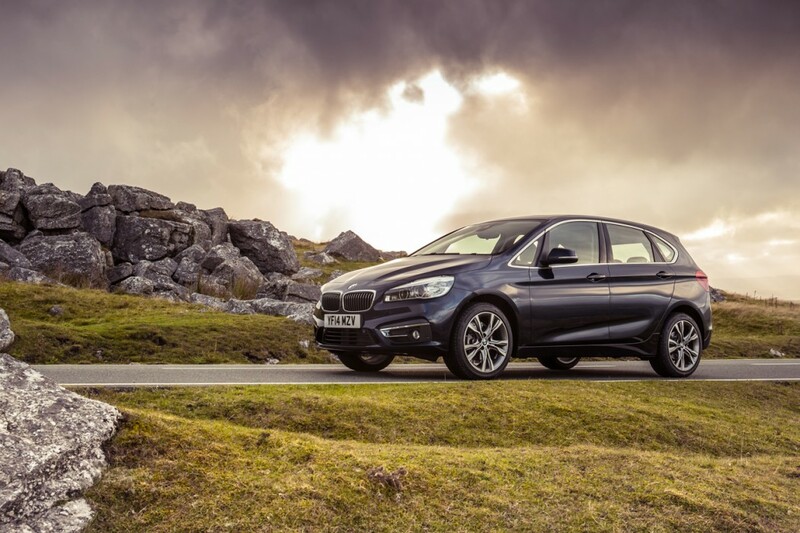 The high-torque 4-cylinder diesel engine in the BMW 220d Active Tourer is no less dynamic and even more economical (combined fuel consumption: 4.5-4.4 l/100 km, combined CO2 emissions: 119–115 g/km). The 2.0-litre power unit with a peak output of 140 kW/190 bhp at 4,000 rpm and a maximum torque of 400 Nm at 1,750 rpm is the top-of-the-range Active Tourer diesel. 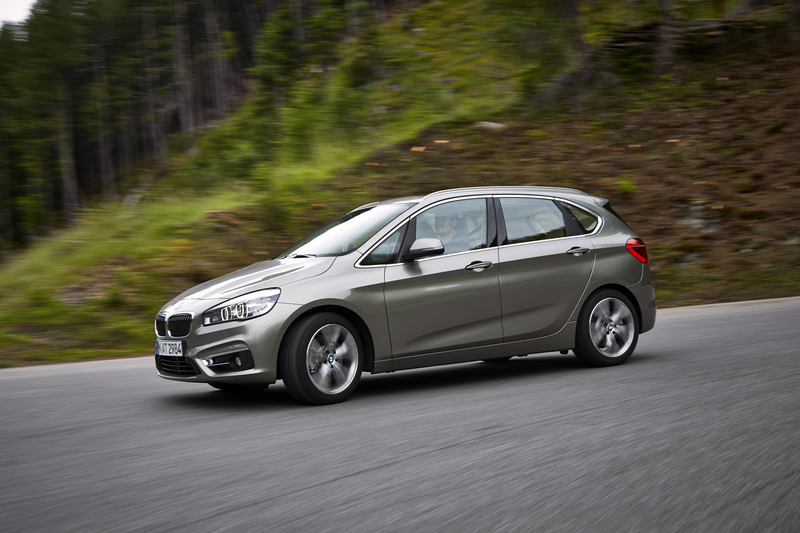 Finally, a new efficiency benchmark is set by the first 3-cylinder diesel in the BMW 216d Active Tourer: it has an average fuel consumption of 3.9–3.8 l/100 km with CO2 emissions of 104–99 g/km*. This compact diesel has a capacity of 1.5 litres and an output of 85 kW/116 bhp at 4,000 rpm, putting a torque of 270 Nm on stream at just 1,750 rpm. 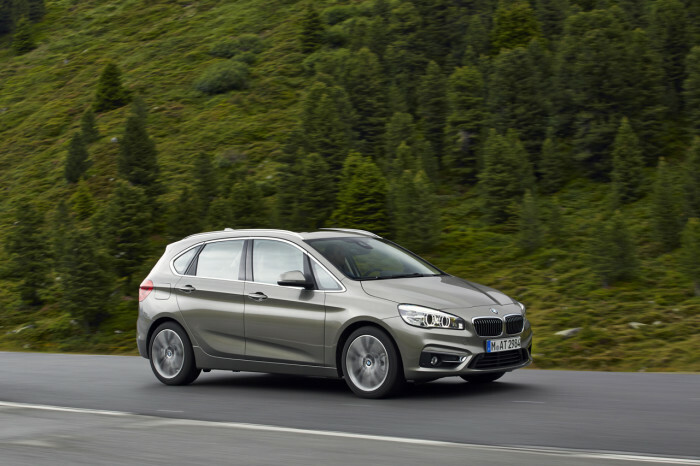 As a result, the BMW 216d Active Tourer is able to reach speeds of up to 195 km/h and accelerate from standing to 100 km/h in 10.6 seconds. In this way, BMW once again demonstrates its expertise in the field of diesel technology. The new engines can be combined with 6-speed manual transmission as standard or optionally with an automatic 8-speed Steptronic transmission (6-speed manual transmission only for the 216d). 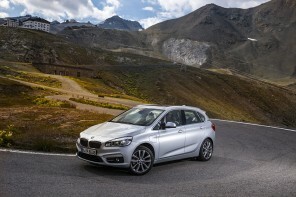 BMW xDrive will be available for the two top engine variants of the BMW 2 Series Active Tourer in future as well. The intelligent all-wheel drive system not only optimises traction and ride stability in all road and weather conditions, it also enhances the car’s dynamic performance on corners. All-wheel drive comes as standard with the 8-speed Steptronic transmission both in the BMW 220d xDrive Active Tourer (combined fuel consumption: 4.8-4.6 l/100 km, combined CO2 emissions: 127–122 g/km)* and the BMW 225i xDrive Active Tourer (combined fuel consumption: 6.5-6.4 l/100 km, combined CO2 emissions: 152–148 g/km)*. Both models set new benchmarks in the segment in terms of efficiency and dynamic performance. Look for more US specific 2AT information in the coming months. And make sure to let us know what you think of BMW’s front wheel drive plans in the comments below. The latest breaking news from sources within BMW, is that although the board is still split, it is generally considered likely that the next generation UKL platform M2 coupe and convertible will be all-wheel-drive. In the meantime, the same sources have confirmed that a rear-wheel-drive roadster powered by a new generation 3.0 litre turbo six-cylinder petrol engine, rather than a hybrid drivetrain, will be the first fruit of its sports car development deal with Toyota. The new model will replace the Z4 and is being developed alongside the Supra. The U.S. gets BMW’s version of the Honda Fit, but we can’t get a small RWD sedan. 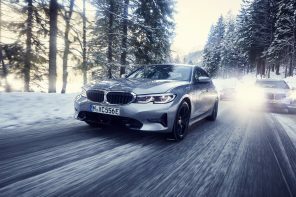 I was on board with the FWD crap as long as BMW made money and allowed them to offer vehicles that stayed true to their heritage, but when M has to beg for the 2 series to remain RWD (and sounds like they are going to lose according to the previous post), it’s obvious that BMW could care less about their legacy.